​Nothing inspires your clients to socialise like gathering around casino tables playing casino games. 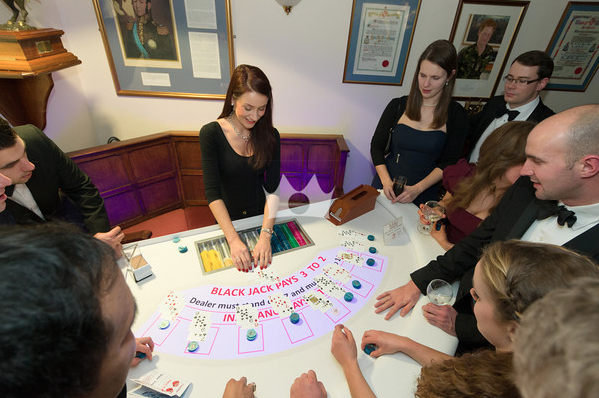 Add that professional feel to any event with the finest Casino Tables, equipment and smartly dressed croupiers that encourage participation and fun to be had by all. 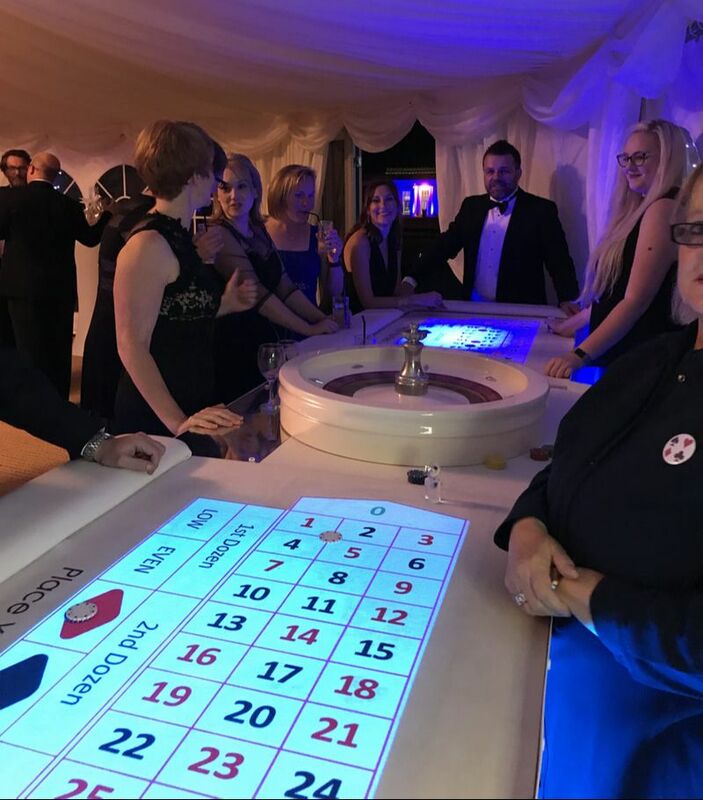 With our powerful LED wash uplighting illuminating the playings surfaces and emanating from the casino tables, you can choose any colour to match your colour scheme of your company logo. 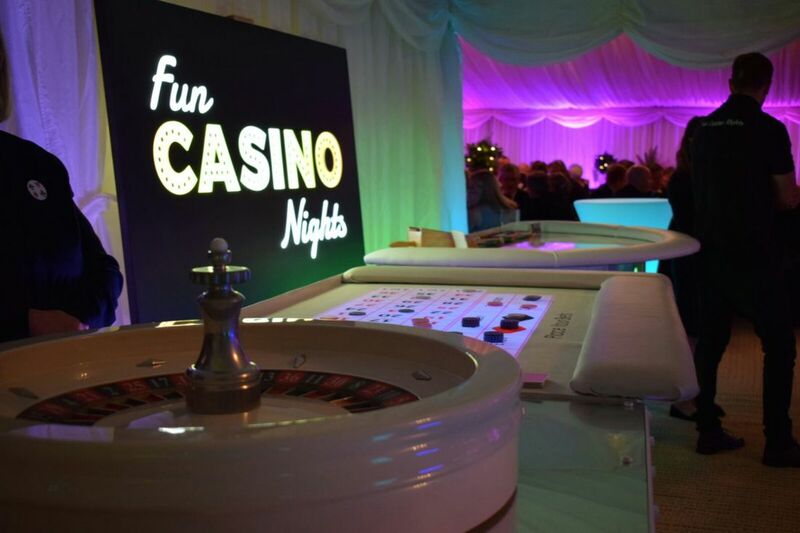 Create the perfect casino atmosphere with uplighting around the Casino at your marquee or venue! 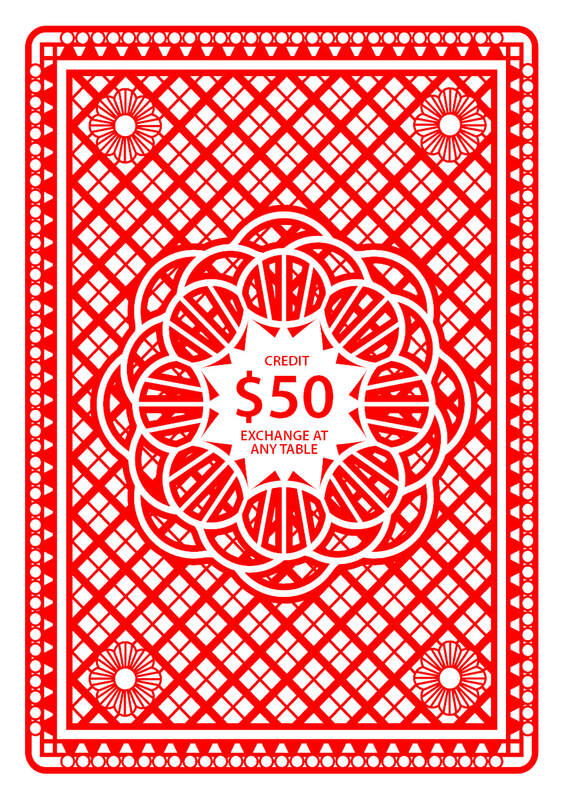 For that little bit extra we use Professional Graphics Design Software to create personalised money notes with event details and company logo all displayed on the back of a playing card. We can even develop this to use as an event ticket. Speak to us with your ideas and what you would like to include in your personalised money notes. 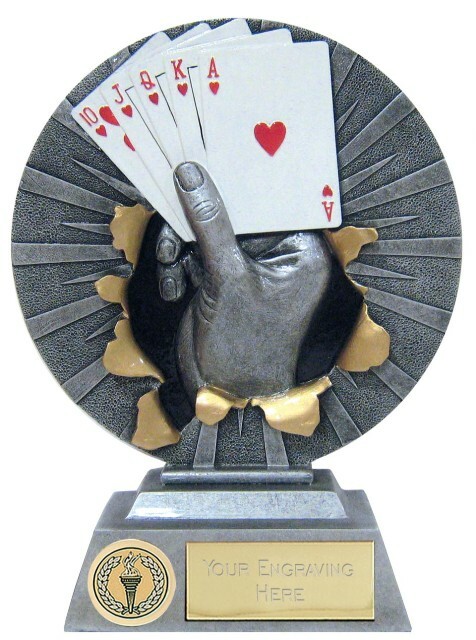 With all of our Fun Casino Nights we complete a prize giving ceremony to award the biggest chips winners with a prize. 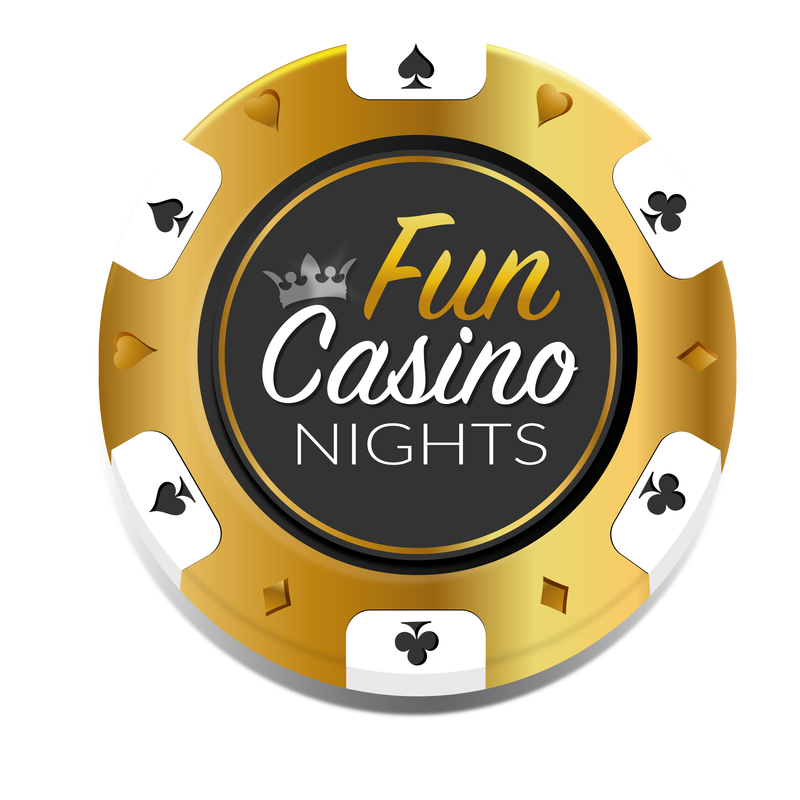 Cap off a greats nights entertainment by awarding the winner with a company branded casino trophy or suitable prize.